Natacha Menard at Econo-Malls is marketing for lease a 2600 square foot end unit in the recently acquired Leamington Walmart Centre in Leamington in Essex County in Southwestern Ontario. 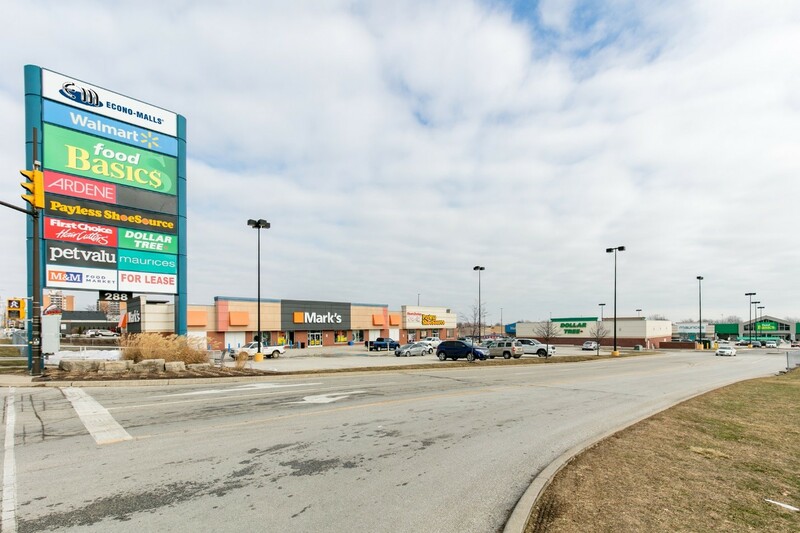 Anchored by a 105,000 square foot Walmart and a 46,000 square foot Food Basics, the 195,000 square foot open centre is at 288-304 Erie St. South, a main north-south artery in the city and with easy access to Hwy 401. Over 33,000 people are in the centre’s trading area and the average household income is in excess of $78,600 per year. National retailers on the site include Ardene, Mark’s, Northern Reflections, etc. Canadian Tire shadow-anchors the property.